Today the PRI Big Room was alive with thunderous drumming! 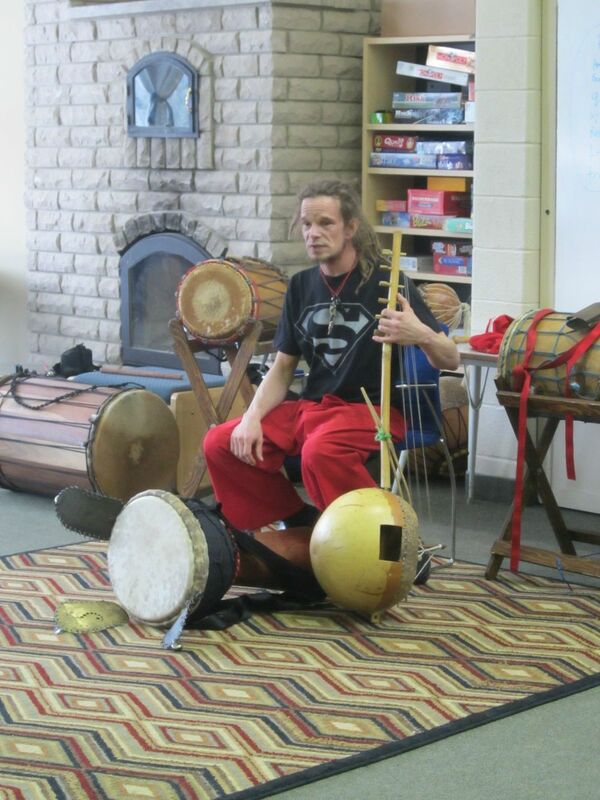 The Dufferin Art's Council helped to bring in Jamie to teach our students about African Drumming. Each of the students were given a hand drum to learn percussion rhythms. Jamie engages the students in stories and helps them to understand the instruments as he present them.